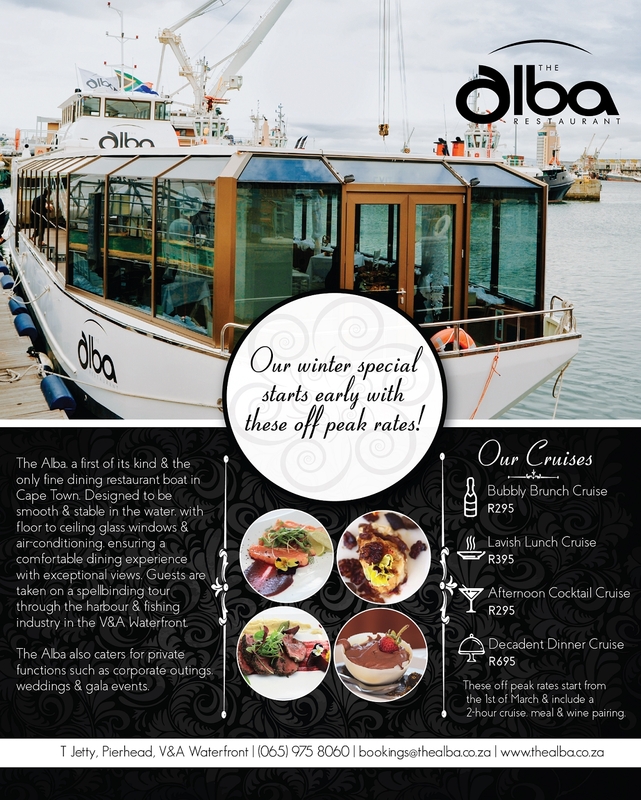 The Alba, a first of its kind & the only fine dining restaurant boat in Cape Town. Guests will be taken on a spellbinding tour through the fishing industry & yacht marina in the V&A Waterfront. Cruise length is two hours, beginning with four cruises a day. The Alba will also cater for private functions. Cruise menus feature quality seasonal, locally sourced ingredients & are available for your perusal but we are happy to tailor-make a menu for your specific event.